London is one of many cities in the developed world facing a housing crisis as people look for places they can live near work opportunities, usually in fairly expensive urban areas. But last Wednesday, the United Kingdom took a big step in a new experiment, The Guardian reports. 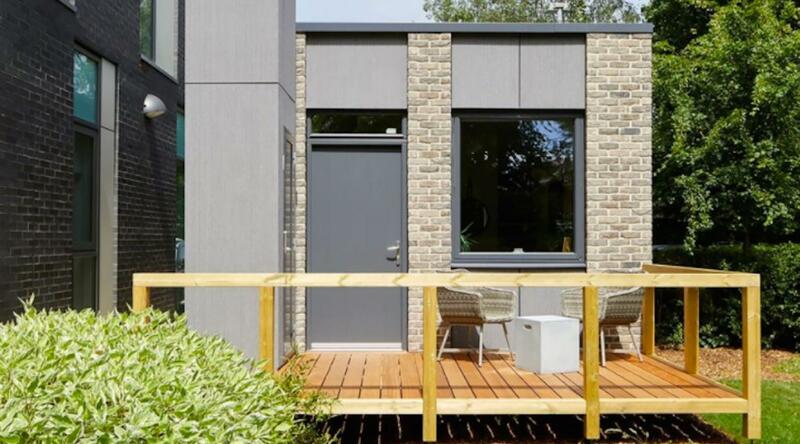 Housing association RHP, in conjunction with factory Legal & General Homes, announced that they will be building thousands of units called "Launch Pods" to be installed in Richmond, estimating that the single person units would be far less than the average cost of a local one-bedroom apartment. Every apartment comes with a kitchen, bathroom, carpet, and can be outfitted with furniture by request. Though they're only 280 square feet, the unites are built tall to give a sense of space, with storage added underneath beds and on higher shelves to accommodate people's belongings. The UK did institute national space standards in 2011, saying that a space for one person should be a bare minimum of about 398 square feet. Detractors worry that the Launch Pods are a "race to the bottom" in terms of standards of living. “They [space standards] have made a real difference to the quality of development in London. I’m confident that space standards are right and will continue to be right,” explained housing authority Jennifer Peters to The Guardian. She explained that the cost of land rises if developers believe they can fit more units onto it. However, supporters say that the Launch Pods aren't intended as permanent residences, but as literal launch pads where someone could save money to put down a deposit on a bigger home, or even move on to own a place for themselves. And the pod's designer, Will Wimshurst, says there aren't a lot of options for people who need affordable housing right now. There are some added cost benefits. Inhabitat reports that the units can run on solar panels with heating under the floor, making electricity costs an estimated $13.00 a year. That's a big savings. There are still legal battles facing RHP and L&G if they want to expand beyond the test run in Richmond, most notably the issue of space standards, but the promise of what the Launch Pod can provide is very tempting. If you live in a city where even very small apartments cost more than you can afford, you might consider living somewhere too small for comfort at the right price.